Another great card from Joanna. 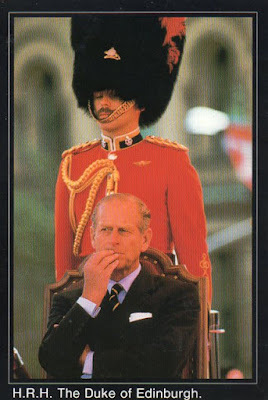 What do you suppose the Duke is thinking here? Is he wondering what's for dinner? If he remembered to set the VCR for Coronation Street? Enquiring minds want to know!